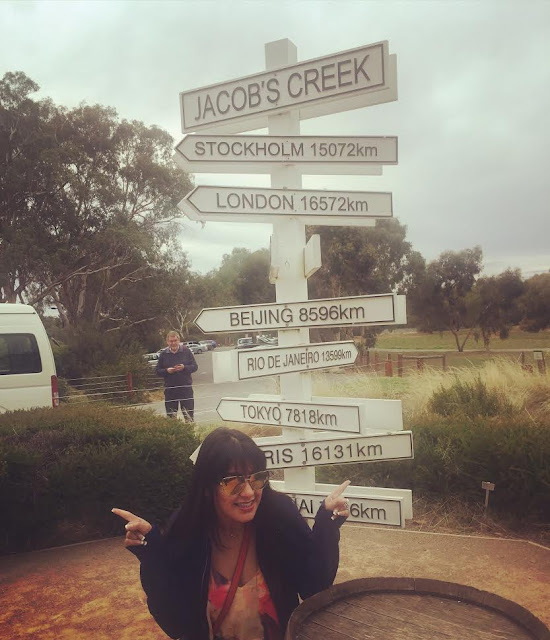 While it is amazing to tick off the Opera House, Harbour Bridge, Great Ocean Road, Kangaroo feeding and Koala handling from your bucket list, trust me your trip to Barossa Valley and most importantly Jacob's Creek vineyard will be the jewel in your Aussie experience crown. 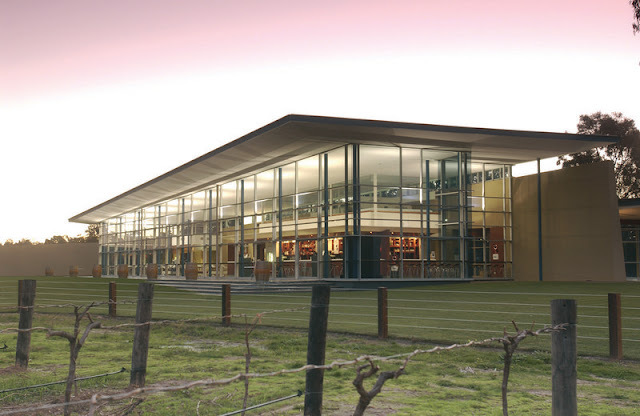 Just over an hour’s drive from Adelaide, the capital of South Australia, takes you to Barossa Valley. This area can easily be termed as the wine capital of Australia and one of the most prominent wine regions of the world. 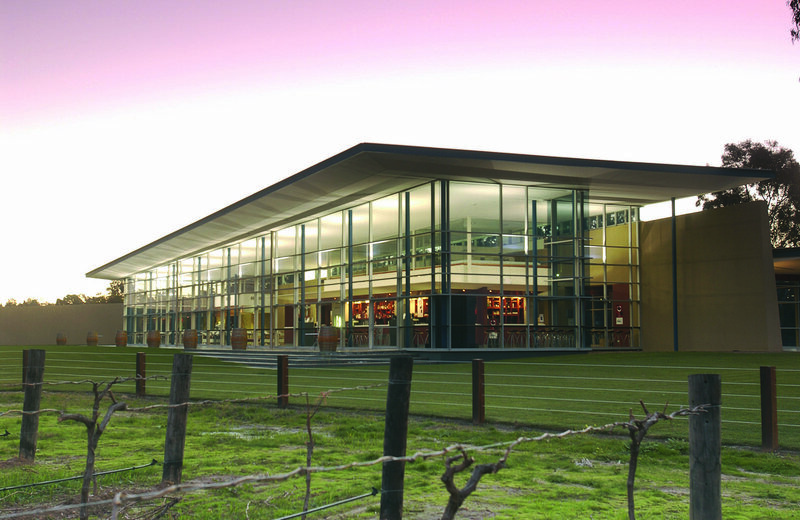 With over 150 wineries ranging from boutique family units to giant ones spread over acres of land, Barossa is any wine lovers dream. It also has ample stay options should you wish to stay there and explore these vineyards at leisure. 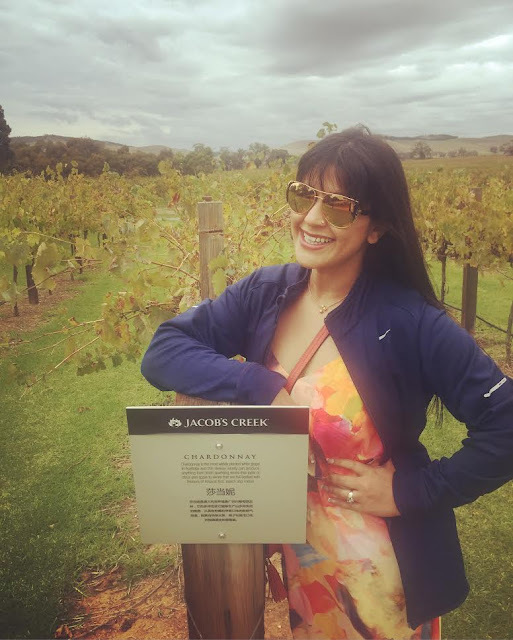 Since we were on a short trip and had to pack in a lot of activities within a short time, we decided to go and knock on Australia’s most popular cellar door — The Jacobs Creek. The wine brand with 167 year legacy is easily the biggest Australian wine brand and among the most recognizable wine names across the world. Its history is as enchanting as the charming vintages it produces. You get to soak in the aromas of full bodied wines while listening to sommelier stories about the wonder we see today. Jacobs Creek is actually a small stream or creek that runs through the Barossa region. It is named after William Jacob, a European surveyor who settled in the region in early 1840’s. Around the same time, a geologist Johann Menge who was living in the valley discovered that the land is perfect for growing fruits as well. News spread bringing in settlers and among them was Johann Gramp, the Bavarian born genius who was to place Barossa on world wine map. In 1847, he planted the first vine and in 1850 he had his first produce. He purchased more land, expanded his vineyard and added a cellar. The rest as they say is history as G. Gramp and Sons went on to become one of the most successful wine producers of the region. In the year 1976, a 1973 vintage is labelled Jacob’s Creek and in 1984, this brand was exported for the first time. This export opened the door for Australian wines in the world. Excuse me if I miss certain details as all of it was merely jotted in head while sipping Shiraz, Chardonnay, Merlot, Pinot Noir and sparkling Rose during the tasting session. But even if I am able to recall all of it without writing notes here is a testimony to the brilliant staff that takes you through the evolution and history of the brand that we see today. 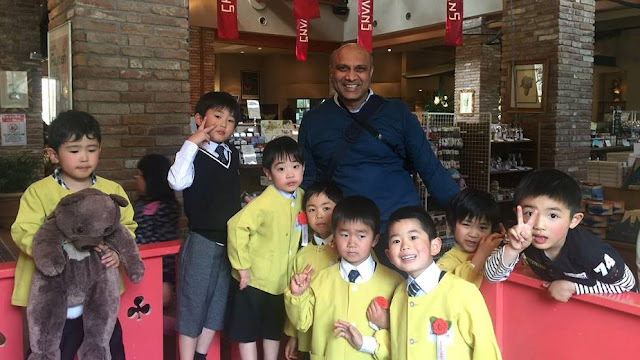 The visitor center and the experiences on offer are actually among the fondest memories of our trip. 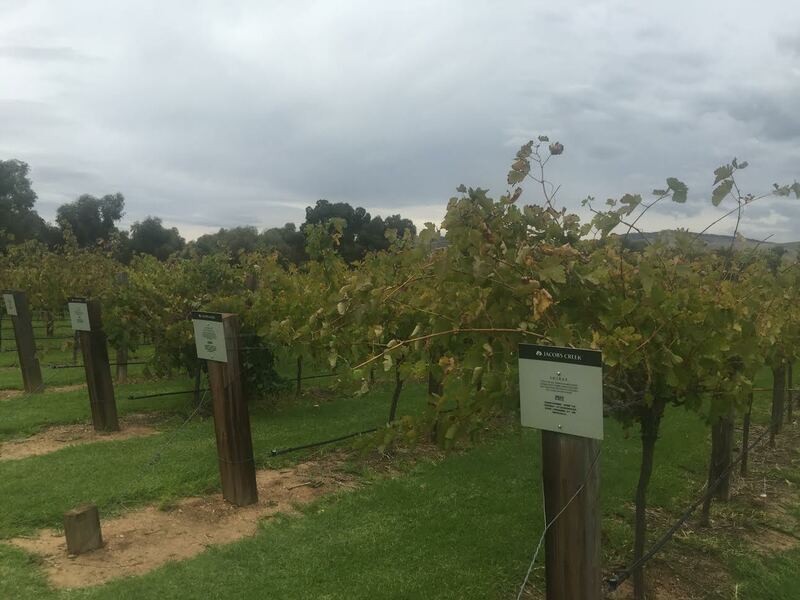 You can choose between a two hour leisurely picnic in Jacob's Creek’s vineyard sipping on their wine and munching on season's fresh produce or opt for a wine and lunch experience. We had opted for wine experience and two course lunch. While the lunch was starters and shared platters, it was the tasting of various wines and listening to stories around how each bottle was nothing less than a labour of love that had us hooked. With Australian summers about to start, a lot of us will be planning our New Year’s break or honeymoon to Australia. I would seriously recommend you to include a visit to Barossa Valley and specifically Jacob's Creek vineyard. 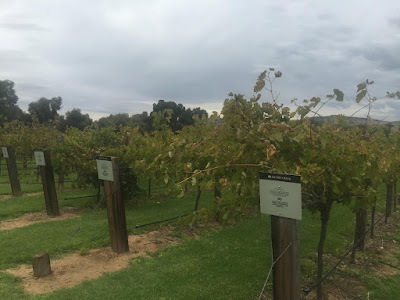 The scenic vineyards and heady history of this Australian wonder in definitely worth a visit. How: It is just over an hour's drive Adelaide. It is best advised to book your tour in advance. You can either drive from Adelaide to Barossa or opt for a sit in coach. The coach is a good option as the driver informs you about the history of the region and the vineyards enroute and you get to enjoy the wine tasting experience in the company of fellow tourists. You can book a personal tour as well where your chauffeur/guide drives you from Adelaide to Barossa and back. It is convinient as you can stop and see places on the way as well. While this place gets a little crowded and you might have to push through occasionally, it's hard not to mention that a definite plus in this venue NYC is that you'll rarely have to wait on line in their large bathrooms.